This year we’re participating in itch.io’s Black Friday Not-Sale. Through 11/23, all our comic PDFs will be 50% more than usual – but itch.io is donating their share of proceeds to The Trevor Project and The Nature Conservancy. 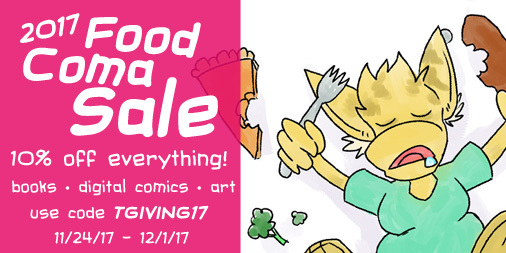 Grab some comics and help charity! Happy Thanksgiving!